Recent research suggests that health disparities among low-SES and ethnic minority populations may originate from prenatal and early life exposures. Postpartum maternal depressive symptoms have been linked to poorer infant physical health, yet prenatal depressive symptoms not been thoroughly examined in relation to infant health. In a prospective study of low-income Mexican American mothers and their infants, women (N = 322, median age 27.23, IQR = 22.01–32.54) completed surveys during pregnancy (median gestation 39.50, IQR = 38.71–40.14 weeks) and 12 weeks after birth. We investigated (1) if prenatal depressive symptoms predicted infant physical health concerns at 12 weeks of age, (2) whether these associations occurred above and beyond concurrent depressive symptoms, and (3) if birth weight, gestational age, and breastfeeding were mediators of prenatal depression predicting subsequent infant health. Higher prenatal depressive symptoms were associated with more infant physical health concerns at 12 weeks (p < .001), after accounting for 12-week maternal depressive symptoms, breastfeeding, gestational age, and birth weight. Twelve-week maternal depressive symptoms were concurrently associated with more infant health concerns (p < .01). Birth weight, gestational age, and breastfeeding were not associated with maternal depression or infant health concerns. Results establish a link between prenatal depressive symptoms and an elevated risk of poor health evident shortly after birth. 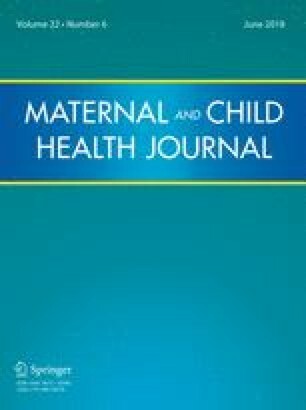 These findings underscore the importance of the prenatal period as a possible sensitive period for infants’ health, and the need for effective interventions for depression during pregnancy to mitigate potentially teratogenic effects on the developing fetus and reduce risks for later health concerns. This study is supported by a Grant, R01 NIMH MH083173 (MPIs: Keith Crnic, Nancy Gonzales and Linda Luecken). The first author of this manuscript was supported by an institutional training Grant, T32 MH18387, NIMH. We thank the mothers and infants for their participation; Kirsten Letham, Anne Mauricio, Monica Gutierrez, and Craig Enders, for their assistance with data collection and management; Dr. Dean Coonrod and the Maricopa Integrated Health Systems for their assistance with recruitment; Kim Battista for graphical design assistance; and the interviewers for their commitment and dedication to this project. The authors of this manuscript have no conflicts of interests, including financial interests or gains.